Overfishing, unsustainable fishing practices, and the intensifying impacts of climate change coupled with marine pollution are threatening the health of our seas. 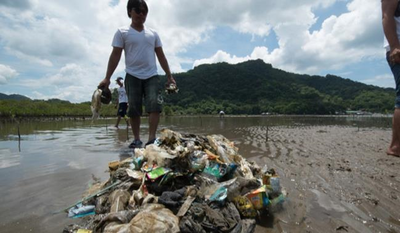 According to data, about 80 percent of marine pollution comes from human activities on land. Garbage, which can be mistaken for food by marine creatures, smothers coral reefs. How many times have we heard of sharks and whales dying because they ingested plastic bottles? Unfortunately, the Philippines ranks third among nations with the most plastic pollution in their seas. Plastics and food wrappers consisted the bulk of the trash collected. 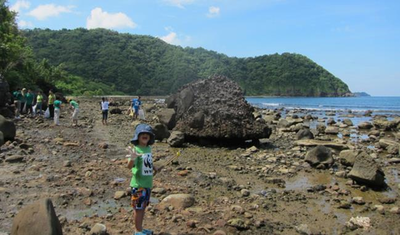 Leading environmental solutions provider World Wide Fund for Nature (WWF-Philippines) and premier sustainable beach resort community Hamilo Coast are leading the way in inspiring Filipinos to turn the tide on marine pollution. In commemoration of the 30th year of International Coastal Clean-up Day last September 19, they conducted shore and dive cleanups in Pico de Loro Cove as well as Papaya and Santelmo Cove, participated in by employees and volunteer members. The International Coastal Clean-up Day is an annual movement started by US-based Ocean Conservancy in 1986. In last year’s ICC activities, more than 560,000 volunteers around the world gathered 16 million pounds of trash. Top items collected were cigarette butts, plastic food wrappers, plastic beverage bottles, plastic bottle caps, and plastic bags. However, this figure is only a fraction of the staggering amount of uncollected garbage. Living Blue Planet Report 2015, a recently released ground breaking WWF study on marine health, stated that an estimated eight million tonnes of plastic waste – roughly 17.6 billion pounds – are dumped into our seas every year. “With at least 60 per cent of the world’s population living within 100 kilometers of the coast and the global population growing, marine pollution from land-based activities is likely to worsen. Given the transboundary nature of marine pollution, protection of our ocean from land-based activities requires urgent international cooperation,” said the study. 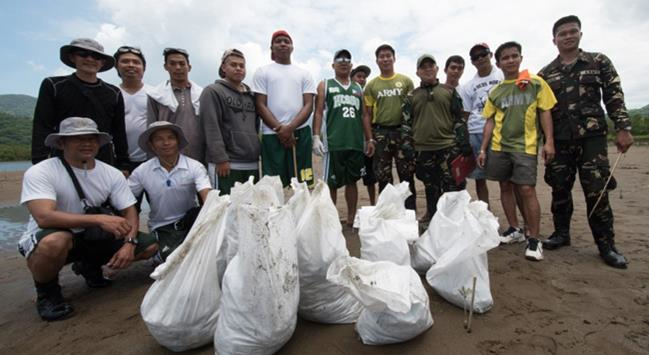 Filipinos can adopt simple and practical ways for trash-free seas, such as minimizing the use of disposable plastic products. “Every year, half a billion to a trillion pieces of plastic bags are consumed worldwide. Sometimes, these bags end up not in our landfills but in our waterways and eventually, in our seas,” adds WWF-Philippines president & CEO Joel Palma.